The SD-AT-DW-BK wall mount helps to conserve valuable desk space by mounting monitors on a wall. This leaves a monitor footprint of zero and creates an extremely productive workspace, free from clutter. Offers the ultimate in versatility. With three separate pivot/adjustment points, the user has full control over their monitor position in terms of height, reach, tilt and screen rotation. Height adjustment is effortless due to the monitor weight counter balancing gas strut mechanism which glides the monitor into position. 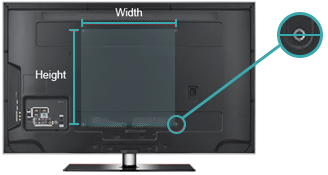 Screen tilt and pan of up to 40° is also made simple with a ball joint integrated into the arm to position the screen for the optimum viewing angle. Combined, these features ensure that all adjustments can be made from a seated position. Ease of use clearly drives this mount making it an obvious choice for ergonomic excellence and user productivity.